2Dept of Physics and Astronomy, University of Waterloo, Ontario, Canada. Quantum safe cryptography has truly been thrust into the limelight recently, especially after the NSA announced “The Information Assurance Directorate (IAD) will initiate a transition to quantum resistant algorithms in the not too distant future,” in August of 2015. Previous to this announcement, there has been a multitude of work done in accomplishing the quantum key distribution (QKD) protocol , a symmetric key algorithm, which has been proven to be cryptanalytically secure, even against quantum computer attacks. One major concern with QKD is the distances over which secure keys can be generated. In optical fibers this is known to have an upper limit around a few hundred kilometers due to absorption in the fibers. For free space, we are limited in line of site as well as atmospheric turbulence. Using satellites to assist in the key generation helps alleviate these distance concerns by linking multiple stations located on the ground which can be separated by much larger distances than allowed by ground links. Performing QKD with moving platforms are important to prove the viability of future satellite implementations. Demonstrations of QKD to aircraft, prior to this work, have operated in the downlink configuration [2,3], where the quantum source and transmitter are placed on the airborne platform. Most recently, the Chinese Micius satellite performed entanglement distribution to ground stations separated by at least 1200 kilometers which has shown the viability of using satellites for quantum information purposes . While the downlink approach ultimately has the potential for higher key rate, it is more complex and is not as flexible as an uplink configuration, which places the quantum receiver on the airborne platform while keeping the quantum source at the ground station . In September 2016, we successfully achieved a quantum uplink, generating quantum secure key, to an airplane . Our experimental setup consists of a QKD source (in a trailer for temperature and humidity control) and transmitter located at a ground station at Smiths Falls—Montague Airport (Fig 1), and a QKD receiver located on a Twin Otter research aircraft from the National Research Council of Canada. Targeting and tracking were established using strong beacon lasers, an imaging camera, and tracking feedback to motors at each of the two sites. Once at the aircraft, the QKD signals were recorded for later processing to complete the QKD protocol and secure extract key. In order to generate the photons for encoding the information, we use a weak coherent pulse source implementing polarization-encoded BB84 with decoy states  at a rate of 400 MHz. These signals are characterized at the source with an automated polarization compensation system to compensate for drifts due to the optical fiber portion of the transmission to the transmitting telescope. 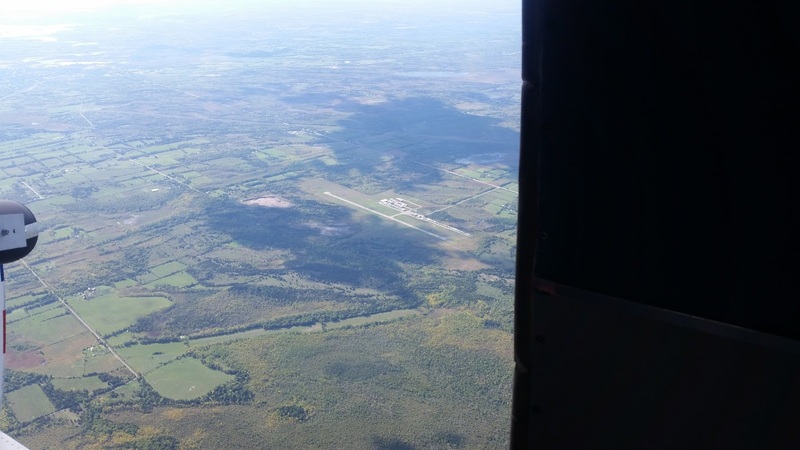 Fig 1: Optical ground station located at Smiths Falls—Montague Airport. The airplane is shown in the background as the white dashed line in the sky. At the receiver, the signal is coupled from the receiver telescope into a custom fine pointing unit which guides both the quantum and beacon signals with a fast-steering mirror. Inside the fine-pointing system, a dichroic mirror separates the quantum and beacon signals---the beacon is reflected towards a quad-cell photo-sensor, providing position feedback to guide the fast-steering mirror in a closed loop. The quantum signal then passes into a custom integrated optical assembly, containing a passive-basis-choice polarization analysis module with a 50:50 beam splitter and polarizing beam splitters, resulting in four beams corresponding to the four BB84 measurement states (horizontal, vertical, diagonal, and anti-diagonal). These four modes are then coupled into multimode fibers and guided to Silicon avalanche photo diodes detectors. The detectors trigger low-voltage differential signalling pulses which are measured at a control and data processing unit based on Xiphos' Q7 processor card, which has recently flown on the GHGSat, with a custom daughter board. The airplane flew two path types: circular arcs around the ground station, and lines past the ground station. The distances for each type of pass varied from 3 to 10 km. The circular paths were used for longer link times as well as to relax pointing requirements as the aircraft telescope would remain relatively still and the transmitter would observe a constant rate. The line passes are more representative of a satellite, showing different angular speeds for different portions of the pass. Fig 2: The Smiths Falls—Montague Airport as seen from the airplane during a day test flight. The end of the telescope can be seen in the far left of the photo. In total, we had successful quantum links in seven of 14 passes of the airplane over the ground station, generating asymptotic key in one pass and finite-size secure key in 5 passes, with one pass showing over 800 kbit. The loss in the various passes ranged from 34.4 to 51.1 dB. Angular speeds (at the transmitter) between 0.4 deg/s and 1.28 deg/s were achieved. A transmitter pointing at a typical low-Earth-orbit satellite with an altitude of roughly 600 kilometers would be tracking at an angular speed of approximately 0.7 deg/s whereas tracking the International Space Station would require approximately 1.2 deg/s. Fig 3: (left to right) Christopher Pugh and Thomas Jennewein hold up a University of Waterloo/Institute for Quantum Computing sticker to be mounted on the NRC Twin Otter Research Aircraft. The QKD receiver can be seen in the open door of the airplane. In this experiment, we have demonstrated the viability of components of a quantum receiver satellite payload by successfully performing quantum key distribution in an uplink configuration to an airplane. The major components in the receiver payload (fine pointing unit, integrated optics assembly, detector modules, control and data processing unit) have a clear path to flight for future satellite integration. Recently, the Canadian government and the Canadian Space Agency have announced the intent to build a quantum satellite and this work will be beginning shortly. Charles H. Bennett and Gilles Brassard, “Quantum cryptography: Public key distribution and coin tossing”. In Proceedings of the IEEE International Conference on Computers, Systems and Signal Processing, Bangalore, India, pages 175-179 (IEEE Press, New York, 1984). Article. Sebastian Nauerth, Florian Moll, Markus Rau, Christian Fuchs, Joachim Horwath, Stefan Frick, Harald Weinfurter, “Air-to-ground quantum communication”. Nature Photonics, 7, 382 (2013). Abstract. Jian-Yu Wang, Bin Yang, Sheng-Kai Liao, Liang Zhang, Qi Shen, Xiao-Fang Hu, Jin-Cai Wu, Shi-Ji Yang, Hao Jiang, Yan-Lin Tang, Bo Zhong, Hao Liang, Wei-Yue Liu, Yi-Hua Hu, Yong-Mei Huang, Bo Qi, Ji-Gang Ren, Ge-Sheng Pan, Juan Yin, Jian-Jun Jia, Yu-Ao Chen, Kai Chen, Cheng-Zhi Peng, Jian-Wei Pan., “Direct and full-scale experimental verifications towards ground-satellite quantum key distribution”. Nature Photonics, 7, 387 (2013). Abstract. Juan Yin, Yuan Cao, Yu-Huai Li, Sheng-Kai Liao, Liang Zhang, Ji-Gang Ren, Wen-Qi Cai, Wei-Yue Liu, Bo Li, Hui Dai, Guang-Bing Li, Qi-Ming Lu, Yun-Hong Gong, Yu Xu, Shuang-Lin Li, Feng-Zhi Li, Ya-Yun Yin, Zi-Qing Jiang, Ming Li, Jian-Jun Jia, Ge Ren, Dong He, Yi-Lin Zhou, Xiao-Xiang Zhang, Na Wang, Xiang Chang, Zhen-Cai Zhu, Nai-Le Liu, Yu-Ao Chen, Chao-Yang Lu, Rong Shu, Cheng-Zhi Peng, Jian-Yu Wang, Jian-Wei Pan, “Satellite-based entanglement distribution over 1200 kilometers”. Science, 356:1140 (2017). Abstract. 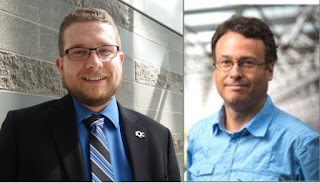 J-P Bourgoin, E Meyer-Scott, B L Higgins, B Helou, C Erven, H Hübel, B Kumar, D Hudson, I D'Souza, R Girard, R Laflamme, T. Jennewein, “A comprehensive design and performance analysis of low Earth orbit satellite quantum communication”. New Journal of Physics, 15, 023006 (2013). Abstract. Christopher J Pugh, Sarah Kaiser, Jean-Philippe Bourgoin, Jeongwan Jin, Nigar Sultana, Sascha Agne, Elena Anisimova, Vadim Makarov, Eric Choi, Brendon L Higgins, Thomas Jennewein, “Airborne demonstration of a quantum key distribution receiver payload”. Quantum Science and Technology, 2, 024009 (2017). Abstract. Hoi-Kwong Lo, Xiongfeng Ma, Kai Chen, “Decoy state quantum key distribution”. Physical Review Letters, 94, 230504 (2005). Abstract.